San Jamar C5450SM Surface Mount One Size Fits All Sentry 8 - 44 oz. Cup Dispenser - 23 1/2"
Add a modern, metallic look to self service beverage stations at your coffee shop, convenience store, or concession stand with this San Jamar C54XC metal finish trim ring. The San Jamar C54XC trim ring is designed for use with all San Jamar Sentry one-size-fits-all cup dispensers. 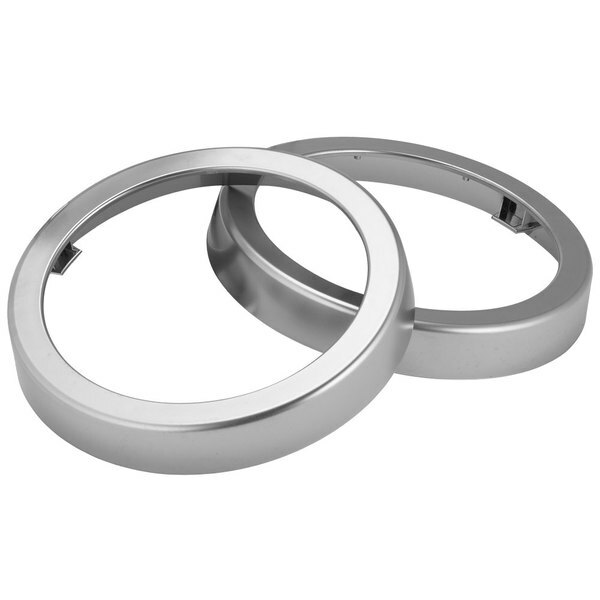 These trim rings for Sentry Cup Dispensers are great for giving them an upscale look or to match stainless steel counters! Matches nicely with stainless steel condiment containers! !